Is Lump Sum Alimony Considered Extra Income for Tax Purposes? In prior years, all alimony payments in Florida were subject to taxes and deductions, as they were treated as extra income by the recipient. However, as a result of the passage of Tax Cuts and Jobs Act (TCJA), which was enacted late last year and goes into effect this coming January, spousal support payments can no longer be included when calculating taxable income. This includes lump sum alimony, which take the form of a single payment, although for the rest of the year, these sums could increase a recipient’s income to a higher tax bracket. If you are filing for divorce and have questions about how any spousal support payments will be taxed, it is critical to speak with an experienced alimony attorney who can explain how next year’s tax law could affect your own financial situation. What are Lump Sum Alimony Awards? Bridge-the-gap alimony, which helps the recipient transition from married to single life. The first three types of alimony payments are usually made on a periodic basis, often monthly. Bridge-the-gap alimony payments, however, are often made in a single lump sum. These types of payments generally require the paying spouse to give up certain assets in order to provide a complete and full lump sum alimony payment during the settlement process. Making this one time payment allows the paying party to bypass having to make monthly payments and is often less than the total that a spouse would have received over a period of years. Under current law, any alimony payments are considered taxable income for the recipient and are also deductible by the payor. Lump sum alimony payments also fall under this rule. 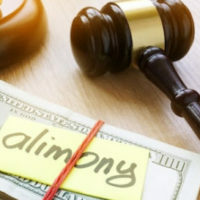 After the end of this year, lump sum alimony payments will no longer be treated as taxable income, although this new rule only affects alimony arrangements entered into during and after 2019. There is no liability to make the payment after the recipient’s death. Alternatively, non-cash property settlements, payments made to keep up the payor’s property, voluntary payments, and payments that are part of a spouse’s community property income are not considered alimony. 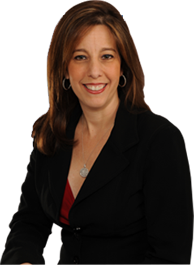 To learn more about the tax consequences of your own alimony agreement in Fort Lauderdale, please call dedicated alimony lawyer Sandra Bonfiglio, P.A. at 954-945-7591 today.